Marks & Spencer – The Beauty Spot. For some reason, Christmases and birthdays in my house always seem to end up with some sort of theme for the gift receivers. This year, my theme seemed to be makeup bags. 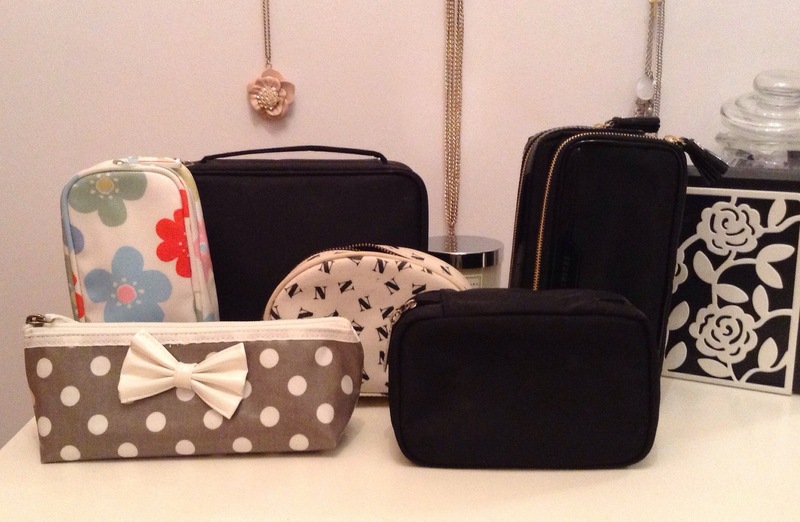 I have gone from a small collection of gift with purchase bags, to quite a nice collection (IMO) of makeup bags for just about any occasion! Now maybe this isn’t such a coincidence as I did purchase 2 for myself, then wasn’t allowed to use one until Christmas day, and I had forgotten that I had asked family for a couple of other types of makeup bags which I also got for Christmas. I’m not exactly a very regular traveller, but I do often need a selection of makeup during the day or to be able to do my makeup on the way to work. Don’t worry, I take the train! No penalties for applying eyeliner in my rear view mirror, thank you very much!! Added to this, everytime I go away for a night/weekend/holiday I never seem to have enough space or the right type of bag to fit what I need. 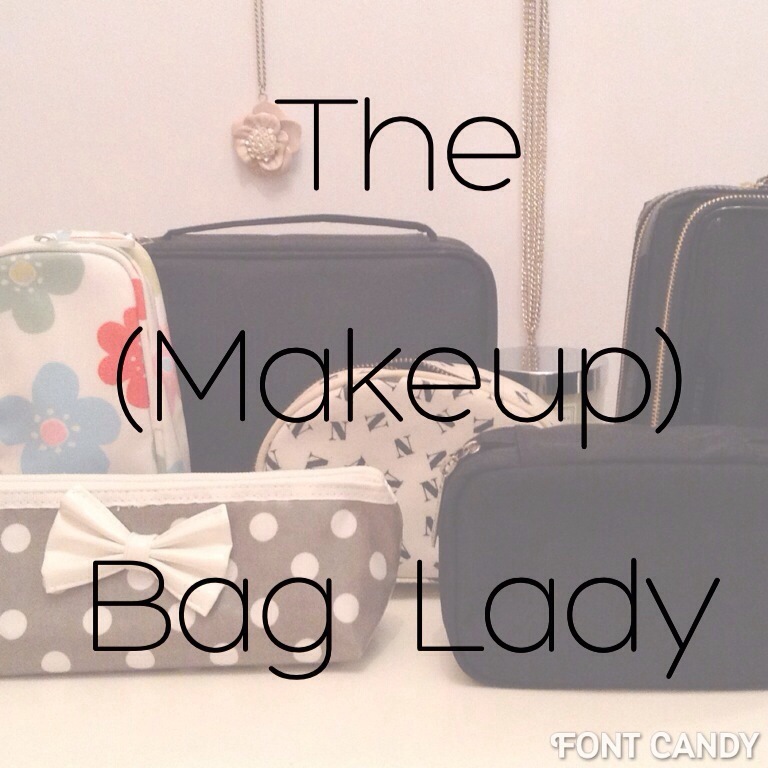 So now I seem to have a collection for all eventualities, I thought I’d give you a tour of my makeup bags! Bobbi Brown Organiser Generally for holiday use, I did a packing challenge here if you want to see how I organise my Organiser! 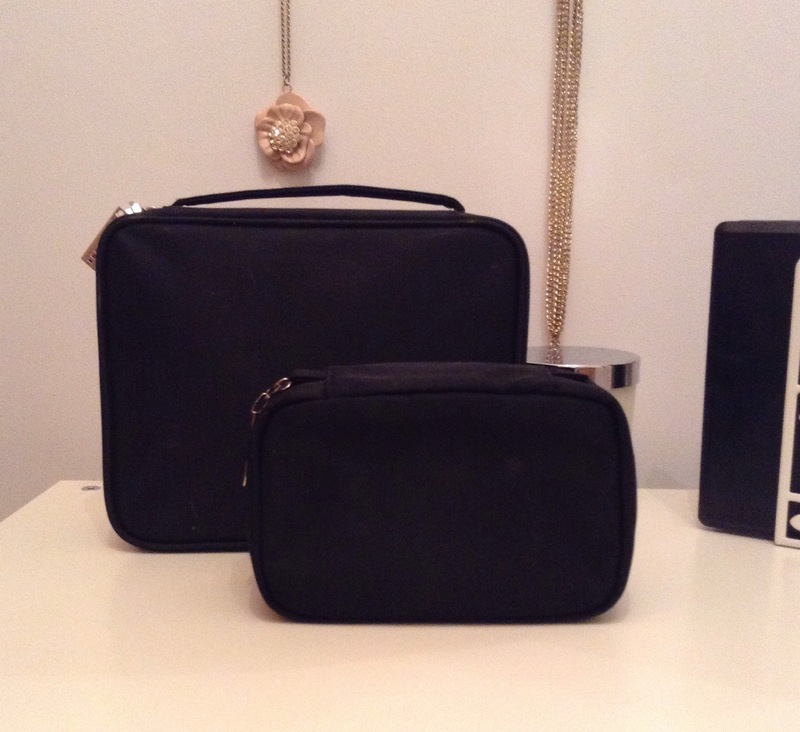 // Bobbi Brown Makeup Bag Another great one for every day, quite flimsy but can fit quite a bit in it. Is also great to just store lip products and a powder to top up with during the day. 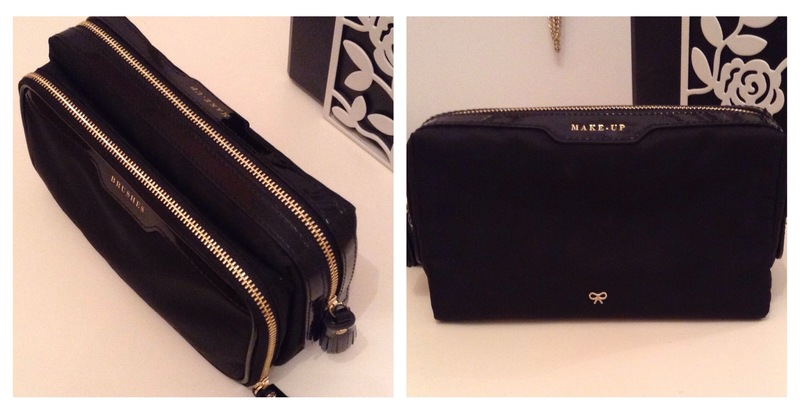 // Anya Hindmarch makeup bag The one I treated myself to at Christmas. Love the brush section separate to your makeup. Also, a deceptively large amount of space! // ‘N’ Alphabet Bag Another Christmas gift, from my Auntie who I think sneakily saw a wishlist/tweet from me saying how much I wanted this! Perfect for day to day use. 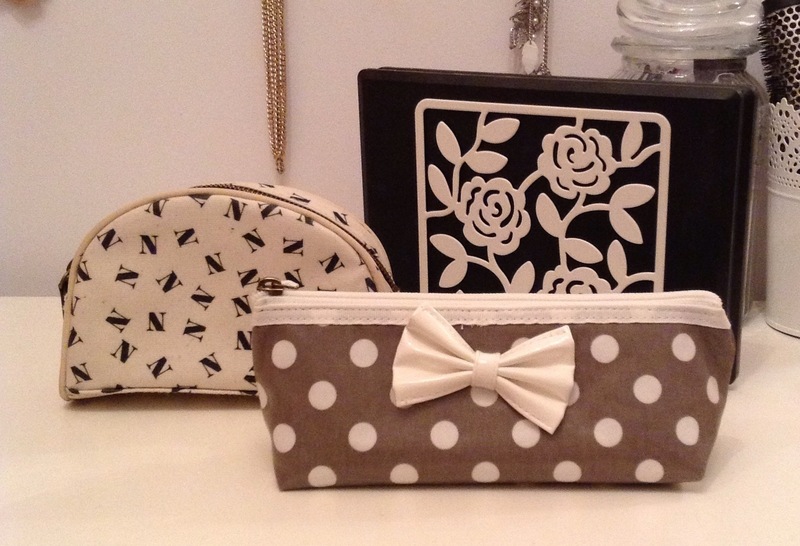 // Marks & Spencer spotty makeup bag Another gift from my Auntie. Again she knew I wanted a separate bag for my brushes when travelling and this is the perfect size! Love to neural colours too! 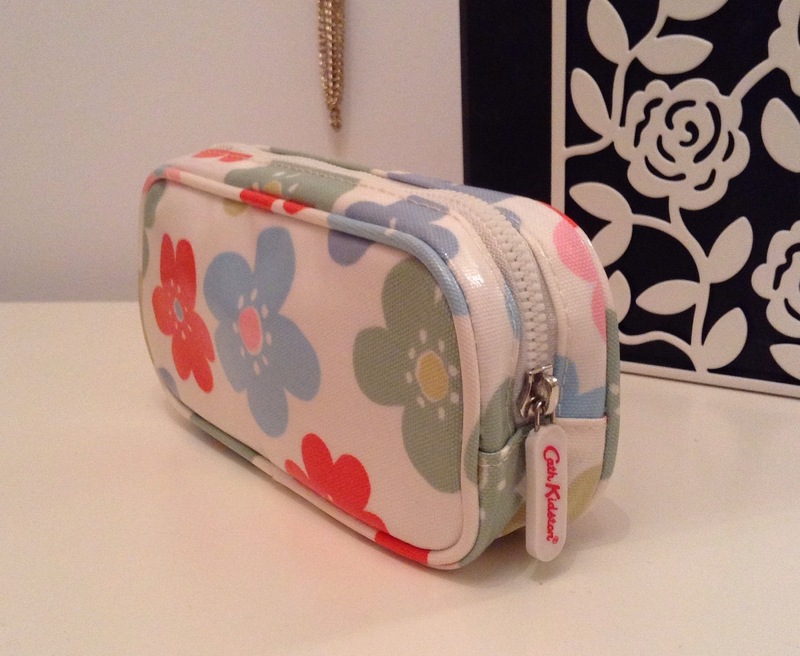 // Cath Kidston small makeup bag This has been well used since I’ve had it a few years. I have a full collection of Cath Kidston travel and wash bags in this design, but this is another I can reach for for daily essentials.